Prominent & Leading Manufacturer from Bengaluru, we offer ss magnetic chemical pumps, magnetic drive chemical process pumps and magnetic drive chemical pumps. By keeping track with the market development, we are offering optimum quality SS Magnetic Chemical Pumps. The offered chemical pumps are manufactured using quality tested components and modern technology in compliance with industry norms. Highly praised in the market, these pumps are checked by quality examiners against various parameters so as to ensure their quality. Furthermore, these chemical pumps are available for the clients at nominal prices. Amidst our wide range of industrial machines, we are also engaged in offering a wide range of Magnetic Drive Chemical Process Pumps. In order to maintain the quality, our quality controllers check these pumps on different quality measures. Apart from this, we offer these chemical pumps in various sizes and specifications so as to meet the demands of clients. 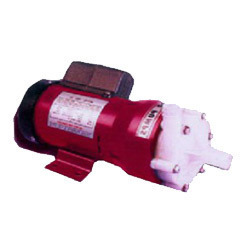 Our provided chemical pumps are highly praised for their high strength in the market. 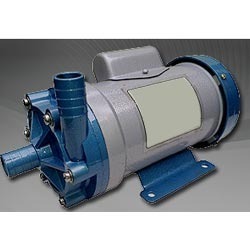 To serve the requisite demands of our esteemed clients, we are engaged in manufacturing, exporting and supplying a qualitative range of Magnetic Drive Chemical Pumps. Our provided chemical pumps are designed by our experienced professionals using premium quality components and progressive technology in line with industry norms. 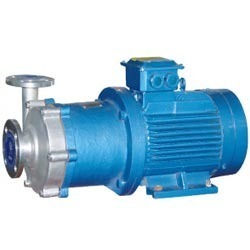 In addition to this, our prestigious clients can avail these pumps from us in various sizes and specifications. Looking for SS Magnetic Chemical Pumps ?